Home Fitness Self-Qualification & Self-Restraint! The 2 Truths Runners Must Accept! Let’s keep this short and straightforward! Running, initially it’s tough to get into the groove but once you are there, it’s equally tough to resist the temptation of running more and participate in the event next weekend, then more and more…. That’s where one needs to apply self-restrain to keep the quality up and quantity at a bay and injuries away. As I always say, save yourself for a big event. Performing better in a big event like ADHM or SCMM will be more satisfying because your stature as a runner goes few notches higher. And now from current season, we need to qualify for these big events. So, there should be a plan and systematic preparation to be there. That’s why I suggest, “Before you hit the qualifier events, self-qualification is important”. In the excitement of participating in few of these major events beginners ignore the basics while registering for these. Only you know, if you are ready for it. Don’t ignore the signals body gives asking you to pay attention. Only you know, that if you have sufficient time for preparations. Otherwise a crash course in running will make you crash land in the end. Only you know, what your personal & professional commitments are, besides long hours required for training runs. Only you know, what your recovery cycle from intensive training session is or when is the beginning of the injury. Only you know that you are competing with self or you have taken up the challenge because of peer pressure. Only you know your limits & limitations. Be consistent & persistent with your training schedule, achieving 80% of it will see you through. Extend your limits 10% at a time on weekly basis. Participate in few of the training events to do reality check. These are small running events which take place on weekend basis in your city. Be decisive, don’t follow the crowd blindly. Because nothing happens until we decide! No one can stop you; if only, you decide! It’s time to Decide! 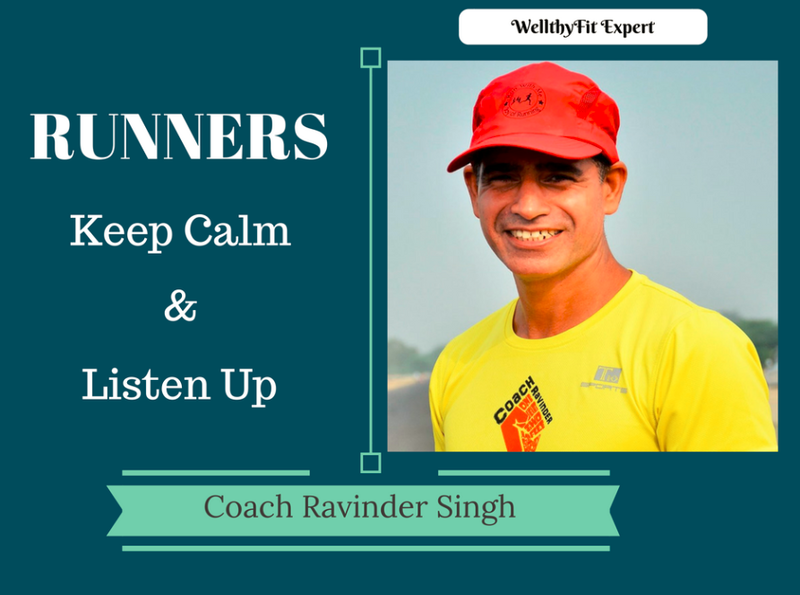 Coach Ravinder, popularly known as Coach, is a leading run catalyst, a fitness coach and a mentor to the budding running enthusiasts in the NCR. Due to his excellent inter-personal skills and propensity to be a motivational force for every runner and running-aspirant, he is a name to reckon with in the NCR. Through self-devised training, he shares his experiences on running efficiency, speed & injury prevention that has helped many runners achieve their personal bests. Since October 2014, he is running a highly successful project called “Couch to 5Km in 10 weeks”. Hundreds have completed this program and graduated to higher levels like 10Km & Half Marathons. Under this program coach has trained people across all age group between late 20s and sixties. The program is now popularly called “Aging to Ageless”. He runs an NGO by the name of Run With Me Foundation. Through this effort, Coach supports less-privileged runners. There is a pool of 50 such runners who perform at state and national levels.